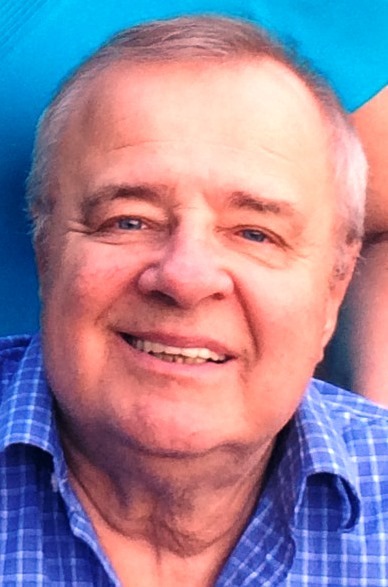 Huyga, Edward A. Hugya, age 69, of Stratford, beloved husband of Lorraine Kazmirsky Hugya, passed away suddenly on March 3, 2018 in his residence. Edward was born on August 20, 1948 in Bridgeport and was the son of the late Edward and Julia Zup Hugya. He attended Housatonic Community College and resided in Stratford for over 40 years. Edward was employed as a Mortgage Adjustor at City Trust Bank, Weigh Master by the City of Milford and a car salesman at D’Addario Buick. He coached basketball and baseball at Sterling House and his greatest joy was bragging about his grandchildren and being their number one fan at their many sporting events. In addition to his beloved wife, Lorraine of 50 years, Edward is also survived by one daughter, Christine Jankura and husband Gregory of Guilford, one son, Jeffrey Hugya and wife Christy of Shelton, six grandchildren, Kathryn, Jack, Samuel, Charlotte, Julia and William, one sister, Mary Fox and husband Michael of Concord, MA, two sisters-in-law, Dorothy Agoglia and husband Gerard of Trumbull and Cynthia Kazmirsky and Thomas Tkacz of Killingworth, CT and several nieces and nephews. In addition to his beloved parents, Edward was also predeceased by one brother, Andrew Hugya. Funeral services will be held on Wednesday, March 7, 2018 at 9:00 AM in St. Mark’s Church, 500 Wigwam Lane, Stratford, where a Mass of Christian Burial will be celebrated. Interment will follow in St. John’s Cemetery Stratford. Friends may call on Tuesday, March 6, 2018 at the Galello-Luchansky Funeral Home, 2220 Main Street, Stratford from 4:00 – 7:00 PM.